Price Computing Scale offered to come with superior finish construction standards that provide for longer service life as well as allow highly accurate performance in price computing operations. Multiple membrane keyboards as well as memory support for storing input prices. Completely meeting the retail needs. 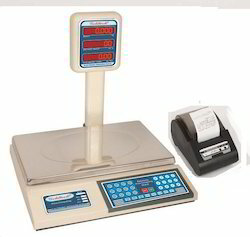 Price Computing Scale with Printer offeredcomes with bright red easy to read display option as well as durable construction standards which make these convenient to use for price computing operations in areas like retail outlets, grocery stores and other similar areas. 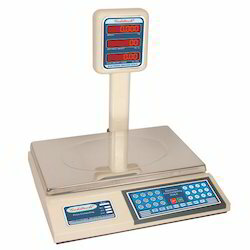 Coming with memory support for inputted price, these scales can be provided in different configurations for weighing different weights. Some of its features include high weighing accuracy, versatile functioning support, preset key support, coming attached to printer for easy printing of receipts and others. Bright Red, Easy to Read LED Displays.